This is my place, the place for storing and sharing information about my model railway project. New entries will appear every time a (major) new step has been taken or new information has become available. The pages on this blog (available through the top menu or the sidebar) are intended to store the information I found and things I figured out and want to remember. Putting this all one place makes it easy to find again! Although the model railway hobby is a somewhat individual hobby, there are still lots of opportunities to share and collaborate with fellow enthusiasts, as in clubs, meetings, shows and of course most important here, the internet. ‘The maker culture represents a technology-based extension of DIY culture, including engineering-oriented pursuits such as electronics, robotics, 3D printing, laser cutting and the use of CNC tools, as well as more traditional activities such as metalworking, woodworking, and traditional arts and crafts. It stresses a cut-and-paste approach to standardized hobbyist technologies, and encourages cookbook re-use of designs published on websites and maker-oriented publications. There is a strong focus on using and learning practical skills and applying them to reference designs. Or, in plain English, I want to have fun building my own railway while using and getting to grips with traditional hobby skills and new technologies, experimenting and learning along the way! Very interesting project, Hans. 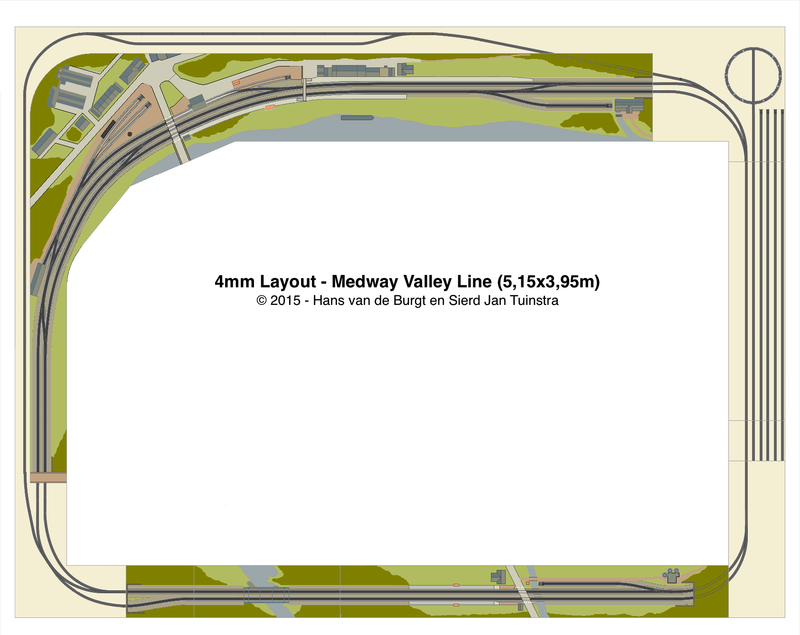 Wateringbury is not the easiest station building to model convincingly. In pre-WW2 days the E4 would be very suitable for the Brighton-Gillingham through train. Could I suggest the C class 0-6-0 and N class 2-6-0, both very authentic freight motive power on this line? After electrification from Strood to Maidstone West in 1939, many of the passenger trains through Wateringbury would have been 2-coach push-pull trains, worked by H class 0-4-4T engines in the early BR period. I live in Staplehurst, not too far away, and pass through Paddock Wood on my daily commute to London, so know the area quite well. The Britain from Above website (http://www.britainfromabove.org.uk/) is a useful source of 1920s-1950s aerial photographs but unfortunately does not seem to cover Wateringbury yet.